The most impressive collection of offshore racing hardware from across the globe is set to gather off Cowes for the start of the Rolex Fastnet Race on 3 August. The 340 available places in the IRC fleet sold out in just four minutes and 37 seconds when entry opened on 7th January. 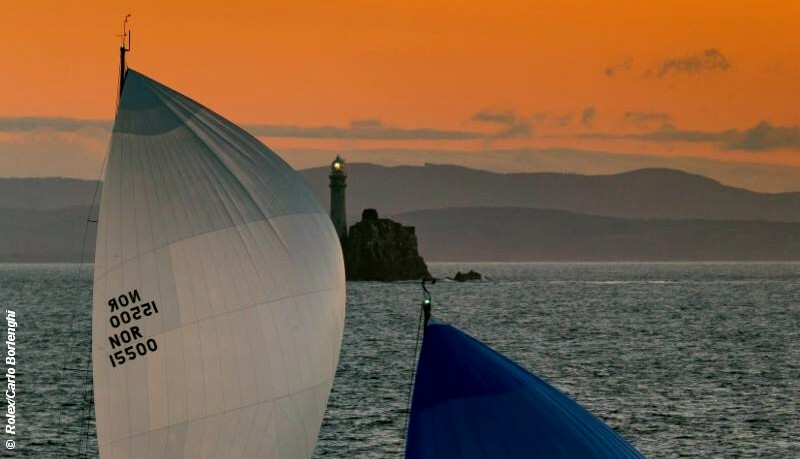 While the bulk of the fleet remains the IRC entries, competing for both their class titles as well as the overall Fastnet Challenge Cup, 2019 will see an unprecedented entry of ‘non-IRC’ boats, the majority from France. Entered at present are 25 Class40s (plus two more in the IRC fleet). There are also set to be a handful of Ultimes. At 100ft long, these maxi trimarans are the world’s largest and fastest offshore race boats. The present race record for the Rolex Fastnet Race was set in 2011 by the 130ft trimaran Banque Populaire V, skippered by Loïck Peyron, in a time of 32 hours 48 minutes at an average speed of 18.5 knots. While shorter, any of the new generation Ultimes is capable of bettering this time. Most staggering are the number of IMOCA 60s entered – 27 of them, making this one of the largest gatherings of these thoroughbred ocean racers outside of the race for which they are principally built – the Vendée Globe singlehanded non-stop round the world race. IMOCA 60s have been in the news in recent months as they are one of the classes set to be used for the next running of The Ocean Race (ex-Volvo Ocean Race) over 2021-22. The Rolex Fastnet Race line-up includes an unusually large number of British female skippers taking part, among them Initiatives Coeur’s Sam Davies and former Mini and Class40 sailor Pip Hare. In sheer numbers the IRC fleet should once again be huge. In the fight for monohull line honours, leading the charge should be the Hong Kong entry, Scallywag 100, skippered by David Witt (from the team that competed in the last Volvo Ocean Race). But she will face stiff competition from the highly refined Rambler 88 of American George David, the Fastnet Race’s 2017 monohull line honours winner, and Ludde Ingvall’s CQS. Mini Maxis and Maxi 72s are well represented again this year with Rán II back as Peter Harrison’s Sorcha. She will be up against Bryon Ehrhart’s Lucky (formerly the Rolex Maxi 72 World Champion Bella Mente) and Sir Peter Ogden’s elongated former Maxi 72 Jethou. The late Paul Heys would be proud of the giant J/Boats entry. These range from the J/133s, Yves Grosjean’s Jivaro and Gilles Fournier and Corinne Migraine’s Pintia, down to the four J/105s and the fifteen J/109s, spanning the RAF Sailing Association’s Red Arrow (with an IRC TCC of 1.025), to Peter Rowe’s Ju Kyu (on 1.003), via J/112s, J/120s and a large gaggle of J/122s. The smallest boat race in this year’s event will be between the trio of Contessa 32s, including Assent, campaigned by Simon Rogers of the Lymington-based Rogers clan that spawned the classic range. A more complete pantheon of offshore race boats, you would be hard pressed to find anywhere, ever.